Introduction to batteries – NYC Resistor’s battery class (slides) « Adafruit Industries – Makers, hackers, artists, designers and engineers! 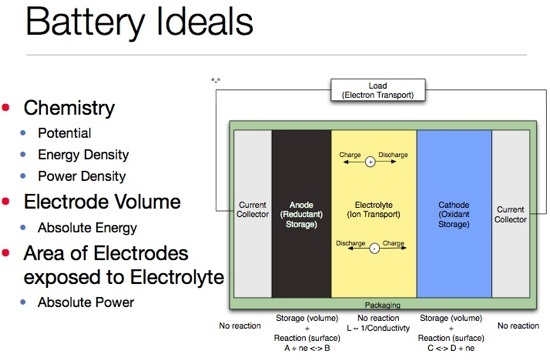 Slides from the NYC Resistor Battery class (PDF) by Dan Steingart, Printing & Electrochemical Engineering Laboratory Department of Chemical Engineering, CCNY. Thank you for posting this I wish I could have attended the talk. The slides are quite informative, but I feel like I missed a lot of good discussion.